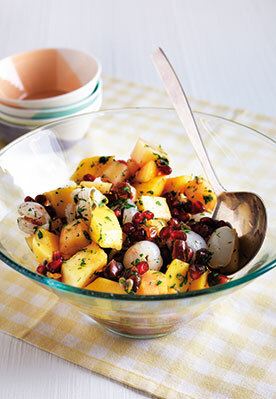 Tropical fruits are very high in sugar so should not be eaten too often, but this fruit salad is bursting with flavour. 1. Place all the ingredients together in a large bowl and mix well. 2. Leave to stand for at least 10 minutes at room temperature to allow the flavours to develop before serving.